Soledad Casilda Hernaez Vargas- sometimes erroneously named Casilda Hernaez Mendez- was born in the orphanage of Fraisoro at Zizurkil in the Basque country on April 9th, 1914. Her mother’s family had gypsy roots (her grandmother was definitely a gypsy and lived in a caravan) and it is alleged Inca ones too and was associated with the anarchist union CNT. Her mother was unmarried hence her birth in an orphanage, where many women went to give birth, paying for costs by subsequently working for several months there. Her mother gave her an education in a free atmosphere. Her mother and her uncles frequently discussed politics together and from early on Casilda became a fervent proponent of women’s right and of a life lived in harmony with nature. After spending her childhood in Zizurkil she moved to the Egia district of San Sebastian. She joined the Libertarian Youth and the CNT in 1931 after having taken a look at the Communist Party and deciding it was not for her. She received a short prison sentence for inciting a strike in an all-women workplace. She also caused a scandal by bathing naked on the beach at Gros with a naturist group. Later, during the revolutionary events of October 1934 she was arrested for distributing propaganda and possession of explosives. She was locked up in the Guadalupe fort and sentenced to 29 years imprisonment (9 for the propaganda, 20 for the explosives). She was then transferred to the Las Ventas prison in Madrid. A large crowd turned out to bid her farewell at the train station when she was being transferred. She was soon released thanks to the general amnesty in February 1936. Just emerged from captivity, she met the anarchist Felix Likiniano Heriz (Liki) in the Libertarian Youth in San Sebastian and they started living in free union. They both took leading roles in the defence of the city from the fascists and the storming of the Loiola barracks. She subsequently took part in the battles at Peñas de Aia and Mount San Marcial de Irun. When San Sebastian fell, she crossed the border to France via Hendaye. She subsequently re-entered Spain via Catalonia and was one of those who marched to the defence of Madrid. She then joined the Hilario Zamora anarchist column on the Aragon front. With the banning of women from the militias she moved to Barcelona and worked in a sewing workshop which produced uniforms for the militias. Together with Felix she was one of those who defended the CNT building which housed the CNT regional and national committees on the Via Layetana against the Stalinists during the May Days of 1937. As a long term believer in the equality of women Casilda gave her support to and joined the libertarian women’s organisation Mujeres Libres. Because of her activity on the various fronts she acquired the nickname La Miliciana (The Militia Woman). She hated this soubriquet, afterwards saying that she preferred to be called a fighter or a revolutionary. With the defeat of the Republic she crossed the border at La Junquera and was interned in the concentration camps at Argeles and Gurs. She then settled in Lorient in Brittany where her home was a refuge for Resistance saboteurs. 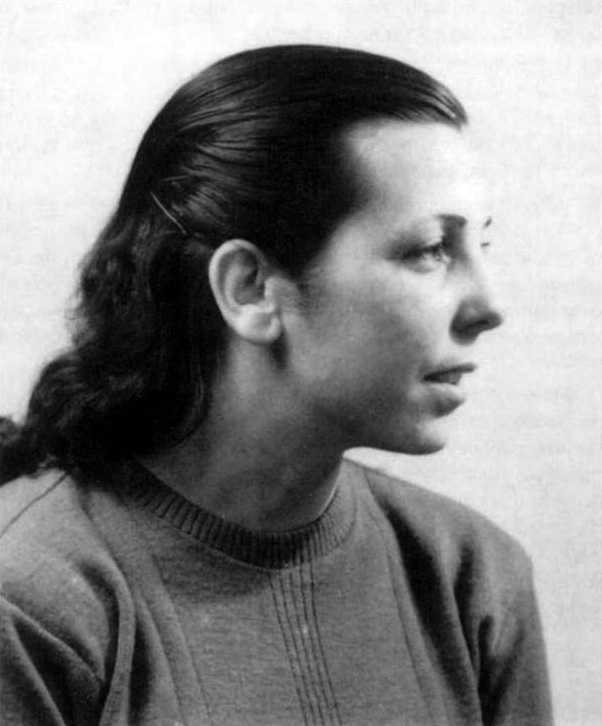 She subsequently, with Felix, moved to Biarritz in 1943.Their home was a centre for both Resistance groups in France and for support across the border in Spain, with the establishment of armed action groups operating in the Irati Forest. With the splits that debilitated the Spanish libertarian movement in the post war period, the pair lost heart and began working in the 60s and 70s with the newly born Basque nationalist ETA. The couple became more estranged from each other. It was said that Felix “was very libertarian, but much less anarchist”! Eventually their relations became very bitter and they separated. Casilda then went into a deep depression from which she managed to emerge with great difficulty. Felix died in 1983. In 1985 Luis María Jiménez de Aberasturi published a biography of Casilda based on a series of interviews he had carried out with her: Casilda, miliciana. Historia de un sentimiento.